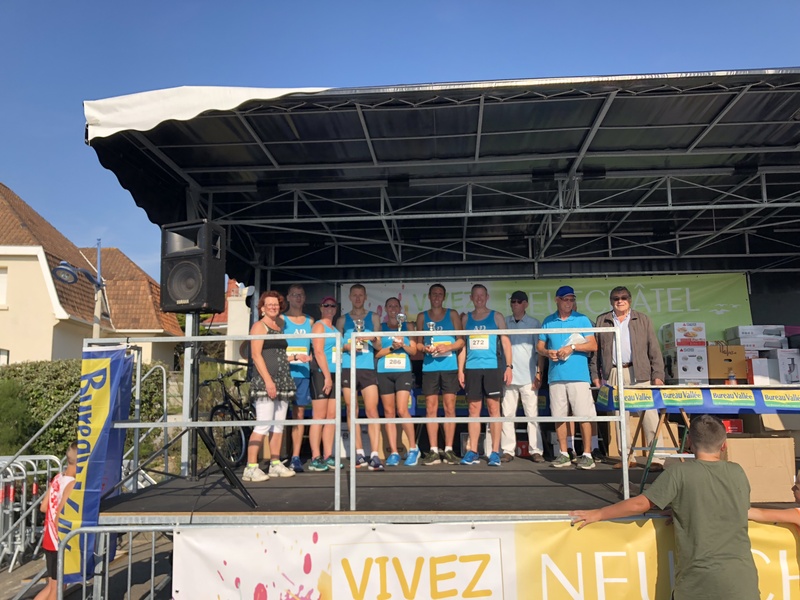 33 Ashford & District RRC members travelled to Hardelot in Northern France on Saturday afternoon to compete in the annual 10k set in the picturesque coastal town. Robert Latala finished within the top 10 and took the 1st international male title with a time of 35m:39s (10th). Trevor Kay finished just behind Latala in a personal best time of 35m:54s with Tom Latala next up in 37m:55s (25th). Men’s club captain Scott Lynch crossed the line in 39m:25s (47th), whilst Rob Barton set a new personal best of 39m:38s. Julius Samson was next up in 39m:52s, Jon Wells followed in 41m:11s, Richard Baker in 42m:05s, Chris Boyce in 42m:36s, whilst Becky Macey claimed the 1st international female prize with a personal best time of 43m :59s. Mark Carlton set a new personal best of 44m:49s, Stu Nunn followed in 46m:10s with Carl Ireland in 46m:48s. Dean Bracken and Aaron Homewood finished in 49m:19s and 49m:21s respectively whilst Sandi Mortimer set a new personal best of 49m:59s. Steve Hickman completed the course in 50m:39s, Mark Cleworth finished in 51m:09s, Jaclyn Kay in 52m:22s, John Fidge and Sophie Edmonds in 53m:54s and 53m:55s respectively. Laura Segust finished in 55m:30s, Keith Lynn in 55m:34s, Lisa Jones 55m:41s, Lucy Johnstone with a PB of 56m:36s, Helen Weeden 56m:40s, Sarah Homewood 58m:13s, Will Whittington 58m:48s, Anne Healy 1hr:04m:31s, Shelley Blake 1hr:06m:45s, Ann Fidge 1hr:06m:56s, Debbie Payne 1hr:11m:41s and Emma Jenkins in 1hr:17m:50s. 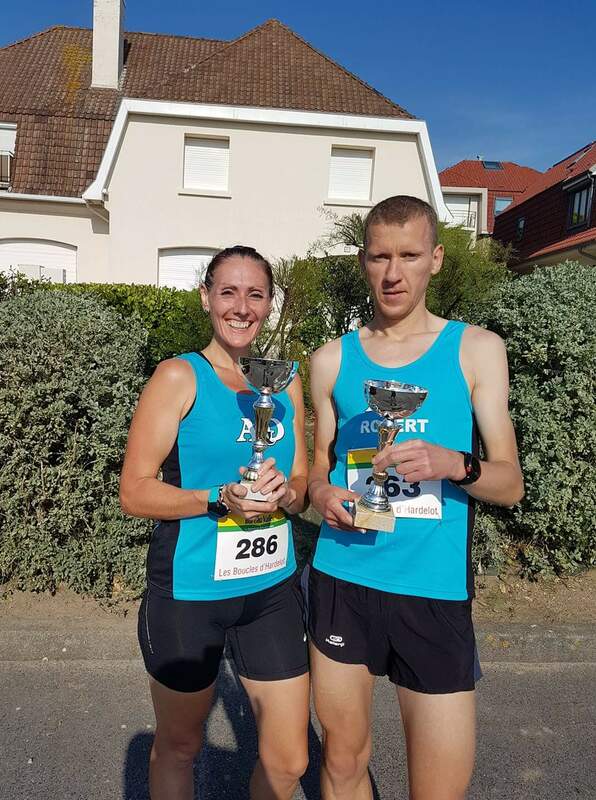 Christine Costiff ran the Kent Coastal Half Marathon on Sunday finishing in a time of 1hr:48m:50s to take 1st in category on an undulating course. Meanwhile Becky Hodgson ran the Saxons, Vikings and Normans Black Hugin Challenge held at Pegwell Bay. Hodgson ran 16.4 miles in a time of 3hrs:49m:32. Paul Moses came 12th at the towns parkrun on Saturday. Moses completed the course in 19m:58s followed by Keith Haynes in 20m:18s (14th) and Mark Harrison in a new personal best of 20m:36s (16th). Mark Attenborough finished in 20m:58s (19th), Adrian Beresford in a personal best of 22m:45s (34th), Elodie Paviot and Don Dewar finished in 23m:44s (47th & 48th), Mark Boorer in 26m:49s, Sarah Taylor 33m:07s, Lesley Moody 33m:36s and Rod Kessack in 42m:29s. Meanwhile, Dan Green finished 2nd place at the Samphire Hoe 5k summer series in a time of 18m:13s. This entry was posted in Events, Results by Brad Bunk. Bookmark the permalink.